The Department of Public Health &amp; Environment has submitted a proposal to the Denver City Council that would ban the sale of tobacco products to people under the age of 21. DENVER -- The Department of Public Health & Environment has submitted a proposal to the Denver City Council that would ban the sale of tobacco products to people under the age of 21. The current minimum age is 18. "We believe this change will prevent thousands of Denver youth from accessing tobacco and nicotine containing products," said Ann Cecchine-Williams, deputy executive director of the Department of Public Health and Environment. "Increased use of electronic nicotine delivery devices -- like e-cigarettes -- among our youth is a growing concern to pubic health experts. When passed, this law will hold retailers accountable if they are selling tobacco and nicotine products to those under 21 years old." There are mixed opinions about the proposal. 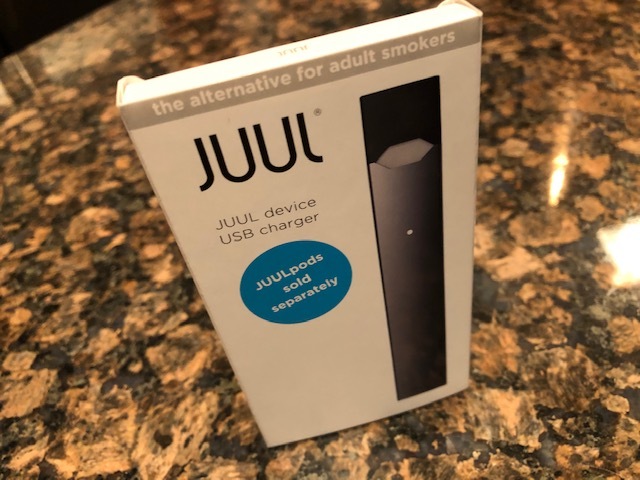 "I personally don't use tobacco products," said 19-year old college freshman Abby Ulrich, "but I have a lot of friends who do...it's just a cool thing to do, which I don't think is very smart at all, so I definitely agree with raising the age to 21." Marcos Alejandro Evans, 18, has an opposing view. "I like to smoke," he said. "I use cigarillos as wraps for marijuana...and I use a Juul here and there." Evans told Denver7 he understands the concern about e-cigarettes, but thinks the current law is fine. When asked what he'll do if the city approves the new proposal, Evans replied, "Buy them online." Jason Purcell, the manager of a vape shop on East Colfax, said he doesn't agree with the proposal either. "I don't really think it's going to stop anyone," he said. "If anything, it's going to create more of a black market." Purcell's wife, Mitzi, said she doesn't use tobacco, because her mother died from tobacco-related cancer. While the new proposal wouldn't directly impact her, Ms. Purcell still takes issue with the government telling people, who are adults and old enough to serve their country, whether they can purchase any tobacco product. The "Tobacco 21" bill would also remove the sale of tobacco products from vending machines. It will be heard by the Denver City Council's Safety, Housing, Education & Homelessness Committee on Wednesday, April 3, at 10:30 a.m. If it becomes law, retail establishments caught selling to teenagers will be inspected and subsequently fined for any violation of the law.